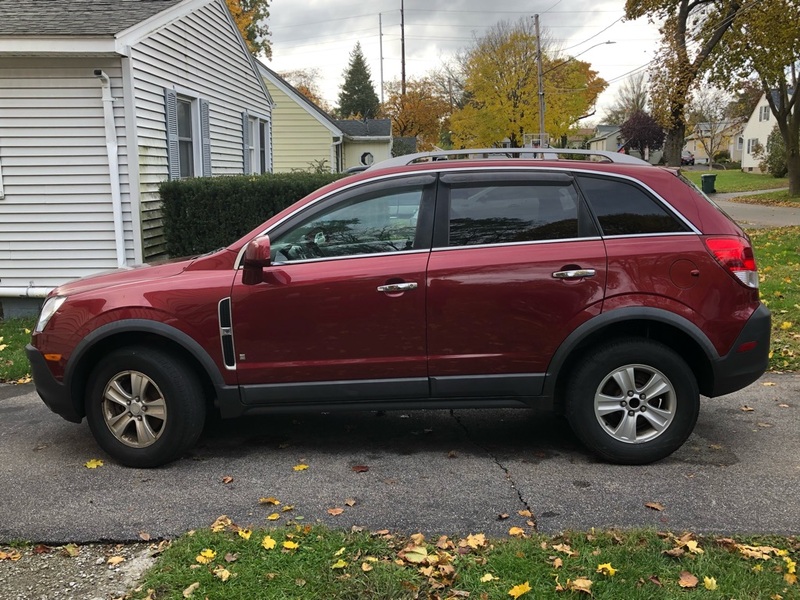 I have a 2008 Saturn Vue XE for sale. This truck run great! I’ve had it for a little over 5 years now as the second owner. It does have 141k miles but the engine has always been kept up to date through Firestone Complete Auto Care. I always used high mileage better quality oil at every oil change with them. They also have a long list of things that’s been done to this truck throughout the years, since I’ve owned it. 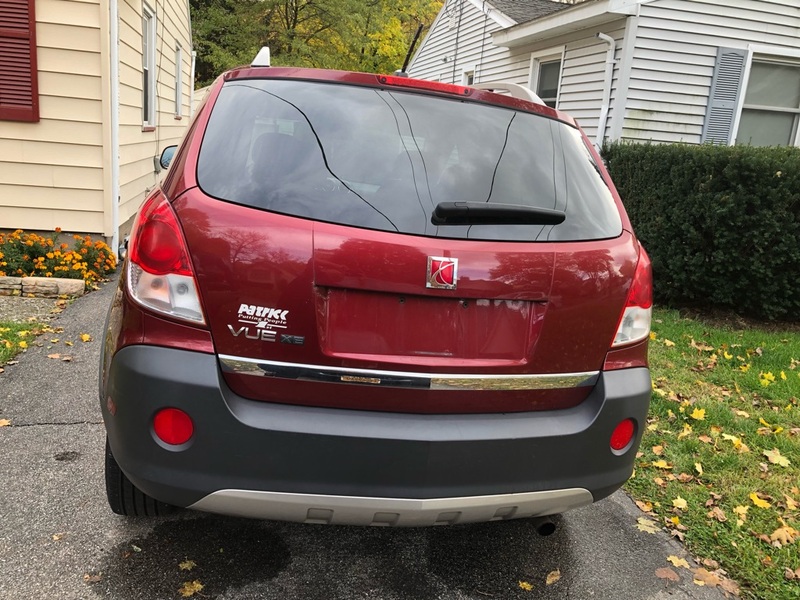 There are some unfortunate and difficult to get ride of stains on the seats both front and back, but seat covers could possibly help cover them up easily. The body of the truck itself is in pretty well kept condition, being that I’ve had it for over 5 years and it’s 10 years old. This truck did come with a remote car starter already installed, but I’ve lost the remote and haven’t programmed the new ones I purchased yet. The truck/lift gate opens but does not stay opened without being held up by someone or something. Also, the driver side headlight is out. The wires that connect to the holster for the lightbulb is causing the bulb to burn out. The headlamp itself is brand new, we thought that’ll fix the problem. Then found out that it’s the actual wires causing the bulb to blow. The handle to the glovebox is broken off but it does still open. The interior light cover in the front has fallen off but both lights still work perfectly fine. 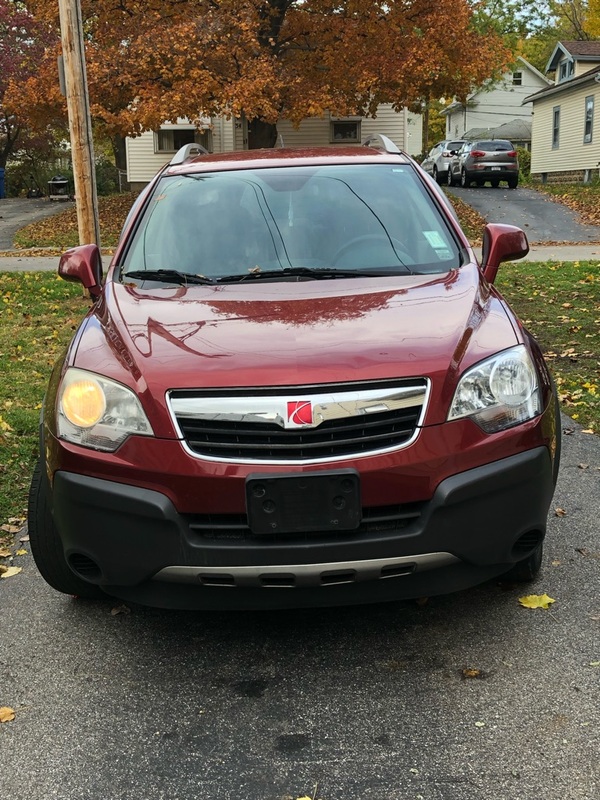 Here’s some specs and info: 2008 Saturn Vue XE 4 door SUV 2.4L 4cyl 4A Fuel regular unleaded gas Front wheel drive Est. City mpg 19 Est. Hwy mpg 26 Seats a total of 5 4 wheel ABS Child seat anchors Rear door child safety locks Daytime running lights Dual front side-mounted airbags Front and rear head airbags Passenger airbag sensing Adjustable headrests front and rear Stability control Front and rear ventilated disc brakes Auto delay off headlamps Tire pressure monitoring Traction control Cruise control AM/FM stereo CD player Adjustable speed sensitive volume control Auxiliary audio input (AUX) XM satellite radio Mast antenna 6 total speakers Nice cold AC Audio and cruise controls on steering wheel Cargo area light Tilt-adjustable steering wheel Front reading lights Front and rear cupholders Electric power steering Power mirrors Power locks This truck has been very well kept as far as engine and exterior body. The seat stains is really the most harsh thing. 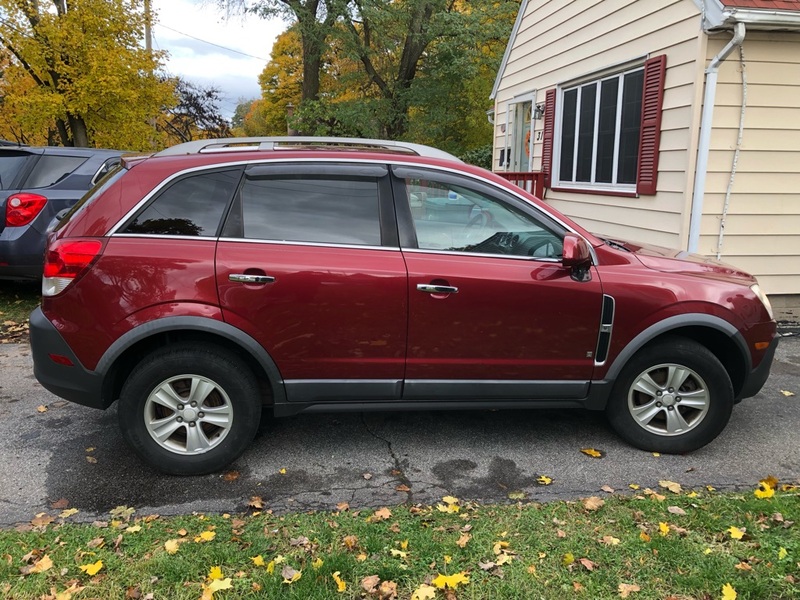 If you have any questions or would be interested in seeing the vehicle, please call or text Jay at 585.502.7907 anytime.